Updated. Chinese firm Huawei will enter the crowed Google Android tablet market in the third quarter of this year, with the launch of its 7-inch MediaPad slate. The company, currently the largest telecom and networking equipment maker in China and no 2. in the world behind Ericsson(s eric), introduced the tablet on Monday with details on specifications, but no information on price. It’s not surprising that Huawei is continuing to branch out from networking gear and into the consumer space, however, news of the MediaPad does include a small shocker: The tablet will run Android 3.2, which not even Google(s goog) has announced yet. Huawei isn’t offering many details on what Android 3.2 brings to the small screen, only suggesting that it will allow Honeycomb to work well on the 7-inch display. Engadget reports the MediaPad will have a pixel density of 217 pixels per inch (PPI), and although Huawei’s official specifications page don’t mention the screen resolution, I used an online PPI calculator to try and reverse engineer that particular stat. A 7-inch screen with 215.63 PPI — roughly that of the reported pixel density — works out to 1280 x 800 resolution, or exactly what the larger Honeycomb tablets currently offer. Update: According to one of my Twitter followers, dcseifert, the official Huawei MediaTab page shows displays specifications of SWVGA resolution, which is 1024×600. The MediaTab surely looks like an upsized iPhone 4(s aapl), complete with a metal bezel. Perhaps this look will add Huawei to the list of companies that Apple sues; the company is currently in a heated legal battle with Samsung over the look and feel of many Samsung handsets. From a feature standpoint, the device also resembles current 7-inch tablet,s but improves with the dual-core processor and, of course, Android 3.2. 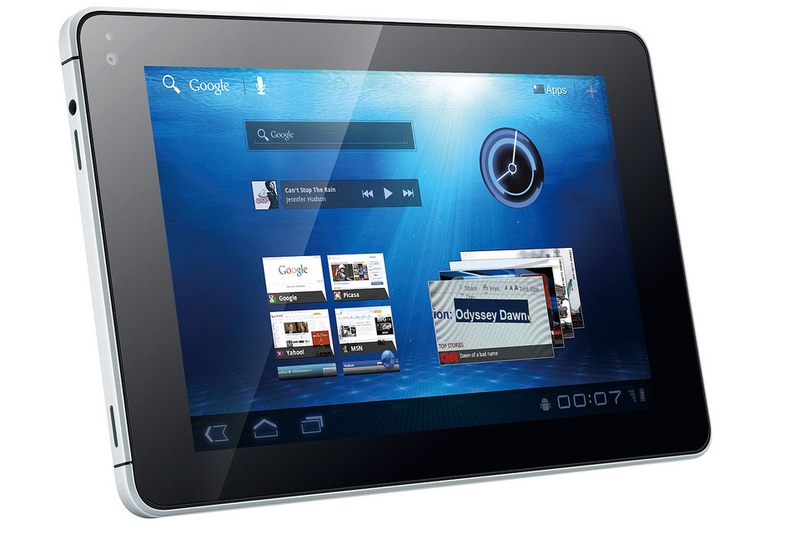 Currently available 7-inch slates are running the smartphone version of Android 2.2 or 2.3. The odd thing is that unless Android 3.2 is the version called Ice Cream Sandwich, which I doubt, I can’t see why this slate needs it. If the screen resolution is indeed 1280 x 800, Honeycomb should already run just fine, although the icons and user interface elements may be a little small on the 7-inch screen. Regardless, I’m excited by the prospect of another 7-inch slate to choose from, as I find this form factor highly portable and more generally useful than larger tablets. don’t be too upset by the 10×6, since 12×8 would have only caused UI problems on a 7″. as of right now Android 3.x scaling abilities are limited. by the time ICS hits Android should have no problems with any resolution on any screen size (including TV’s). hope Kevin gets an Acer A100 for full review, Honeycomb & Tegra2 on 7″ for $350 sound pretty damn tempting. Nice if it’s indeed 1280×800 on a 7″ IPS screen..1080p playback will be interesting. Wonder how well the Qualcomm processor will go..
Maybe a future replacement for my trusty Sammy Galaxy Tab P1000.